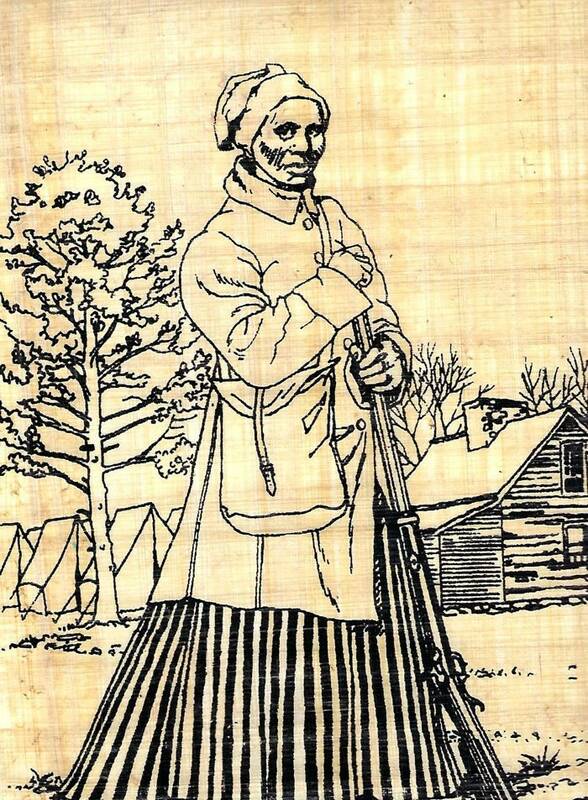 We are joining the coloring craze with our new Harriet Tubman-Color Your Own Papyrus art activity! Create your own work of art! Ancient Egyptians began using Papyrus nearly 4,000 years ago. Papyrus is unique in that it accept all kinds of coloring materials such as color markers, paints or ink assuring that all colors painted on it will keep their original brilliance and clarity. It has a unique texture that makes it fun and different to draw on. The papyrus sheet measures approx. 9 1/2 x 13 sizes will vary. Mounted on quality matt board. People of all ages from kids to art students to adults will love to draw on our papyrus print. All it takes is a frame to create an inexpensive work of art and with shipping it's under ten dollars! Great for school projects, home schoolers, art students, projects on Harriet Tubman, or anyone who would like to draw on something different! You won't find these in stores.